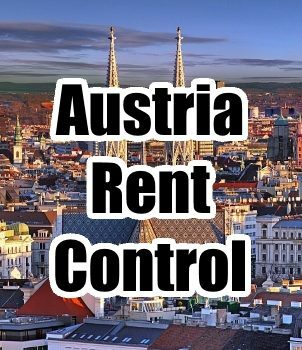 The next stop on our trip across Europe, analysing rent control policies and their effects on property markets, takes us to Austria. The Austrian housing market is complicated, even amongst European Union nations which boasts a number of improperly functioning housing markets. However, where many states in the EU began a comprehensive re-evaluation of their housing policy, Austria has failed to do so effectively. Austrian tenancy protection laws and rent controls stem from the First World War, and despite the changing situation and the decreased shortage of housing, these rules are still in effect. As a result, there exists in Austria a two class society among tenants and landlords, of those whose tenancy is determined by ABGB (General Civil Code) or the newer MRG (Tenancy Statute). Austrian tenancy laws are plagued by exceptions and counter-exceptions, and as a result, are quite complicated for the average tenant to understand and apply to their situation. Furthermore, object based social housing exists in Austria, financed by tax money, which leads to there being no evaluation of social needs over time. In a number of cases, there are tenants occupying apartments in social housing developments who are by no means in need of social housing any longer. They are, however, able to stay in their apartments at prices far below market value, thereby creating the need for even further social housing. This problem is exacerbated by the pro-tenant functions of the MRG. The provisions of the MRG are mandatory, and cannot be excluded even by agreement of tenant and landlord. Additionally, to prevent any potential circumvention of the MRG, the Austrian Supreme Court, Der Oberste Gerichstof (OGH), ruled that all dwellings that fulfil rent characteristics should presume applicability of the MRG. Under the MRG, landlords are obligated to accept the transfer of tenancy rights without the opportunity of termination of the contract. In most cases, the landlord is required to accept a new contract if his tenant leaves the dwelling and simultaneously declares the transfer of his tenancy rights to his spouse, partner, or direct relatives (parents and children). Additionally, in the event of the death of a tenant, this transfer occurs as per the tenant’s will, and there are to be “no or just a very little” increases in rent for this new tenant agreement. The result is a virtual tenancy in perpetuity, wherein the landlord has been dispossessed by their tenants, and does not have the provisions to recoup his capital expenditures, and in some cases, is even insufficient to conduct routine maintenance on the property, due to the dramatically lowered rental price. This situation also speaks to a larger problem present in the Austrian housing market: the rent control provisions are a disincentive to property owners from investing into the maintenance and operation of their property. Prices for maintenance and improvement of existing property naturally follow market levels, and because of rent control, especially with old protected tenancies, this is not offset by increases in rent prices. As a result, properties in Austria are falling desperately behind in terms of modernisation and environmentally responsible practices, such as insulation. This lack of renovation and improvement also negatively impacts the construction industry, decreasing the potential for job opportunities, to address the current unemployment in Austria. If left unsolved, these rent control practices will directly contradict their intended purpose; by keeping controlled housing rent levels at values so far below market value, the rent values for unprotected housing will be forced to adjust upwards to compensate. Since the supply of rent controlled housing obviously does not exceed demand, this excess demand will be forced into the unprotected housing market, and this increase in demand will result in an appropriate increase in prices. Another indirect effect of the rent control legislation is its impact on the hotel and hospitality industry. An increasing percentage of property owners are exploring alternative means of letting their apartments, and this includes via the internet to travellers and tourists, through resources such as Airbnb, etc. This practice allows landlords to recoup some of the losses they incur from the abnormally low rents in the fully protected housing market. The end result is a highly stratified, two-class society. In fully protected housing cases, estimated at 23% of the housing stock, tenants are potentially on their fourth generation of rent protection, meaning rents have not adjusted in close to 100 years. Simultaneously, prices are steadily rising in the market-determined section of the population, adversely affecting new tenants, and housing opportunities are limited because older tenants have no reasonable need or ability to move. It has become a situation of the haves versus the have-nots, in terms of access to rent controlled housing, which must be addressed if there is to be any equality in the population. In the case of Austria, it is imperative that rent legislation be adjusted, privileges eliminated, and landlords allowed to bring previously rent protected properties up to near market levels.